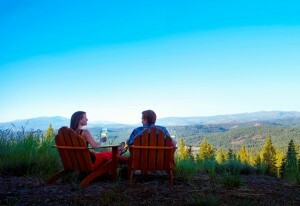 Enticing culinary experiences take place year round at The Ritz-Carlton, Lake Tahoe. The popular resort hotel at Northstar California ski resort in Lake Tahoe has several events scheduled for the summer months. 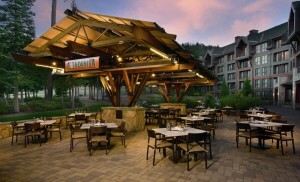 Scenic outdoor dining is typically an option during the summer months at The Ritz-Carlton, Lake Tahoe. Summer travelers and foodies interested in culinary experiences that feature interaction with chefs, other diners, winemakers, spirits and beer purveyors are invited to dine at The Ritz-Carlton, Lake Tahoe this summer. 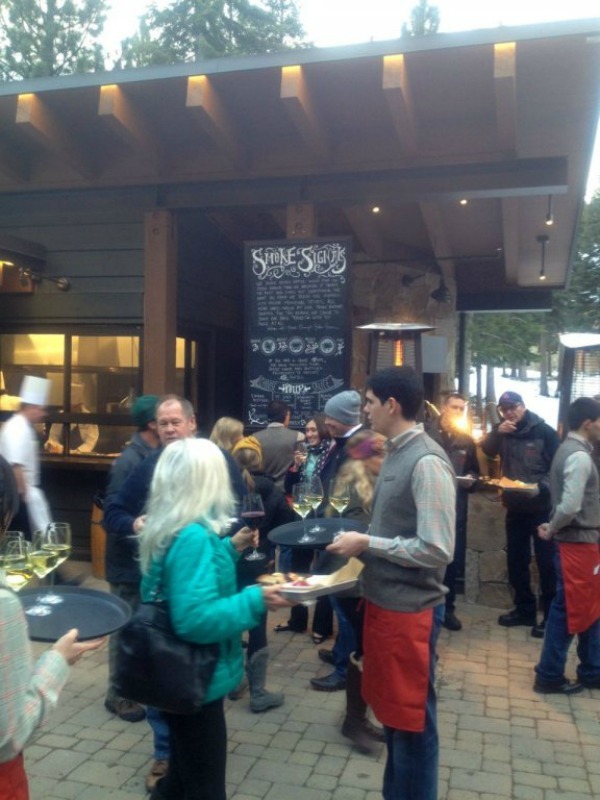 The resort will welcome back popular events such as its Tahoe Long Table Dinner Series, Friday evening Family Cookouts and dining at The Chef’s Table, while introducing new opportunities for communal dining at the Manzanita Chef’s Tasting Counter and more. Nestled mid-mountain at Northstar California, The Ritz-Carlton, Lake Tahoe is a contemporary mountain retreat featuring slope-side ski-in, ski-out access in winter and mountain concierge services for golfing, mountain biking and hiking in the summer. Sunsets are an aspiring sight any time of year at The Ritz-Carlton, Lake Tahoe. Offering a new opportunity to engage with the Ritz-Carlton culinary team, this summer guests are invited to dine at the Manzanita Chef’s Tasting Counter on Friday and Saturday evenings for an interactive tapas tasting. Featuring views directly into the exposition kitchen and personal interaction with the chef, the presentation will include communal seating for up to six people and tasting menus reflecting the innovative offerings of Manzanita. Tasting menus start at $95 per person and include six-courses. Additional courses are also available for purchase. Reservations are required 48-hours in advance. The resort’s Tahoe Long Table Dinner Series returns, offering an exquisite culinary adventure in the mountains that includes pairings with featured Northern California wineries on select dates throughout the summer season. Winemaker dinners will take place in the private dining room at Manzanita and include a five-course pairing dinner for $125 per person. Price excludes tax and gratuity. Featured wineries will include Stag’s Leap Wine Cellars (July 2) and Antinori Family Estates (Aug. 20). Additional winemaker dinners will be scheduled throughout the summer. Beer enthusiasts are invited to sample craft beers from Northern California and Northern Nevada breweries at the resort’s new Brew Master Dinner Series, offered al fresco on the Manzanita Terrace on select dates throughout the summer. Regional brewers will include Great Basin Brewing Company (June 16), Auburn Alehouse (July 9) and Fifty-Fifty Brewery (Aug. 13). Guests will enjoy a three-course dinner paired with a selection of seasonal beers for $65 per person. A new Spirits Dinner Series will also be offered this summer on the Manzanita Terrace. Cocktail enthusiasts will enjoy a four-course dinner paired with featured spirits by Prohibition Spirits (June 18) and Charbay Distillery and Winery and Marko K. Spirits (July 23) for $85 per person. A weekly Family Cookout is offered Friday evenings from 5-7 p.m., and running throughout the summer season at The Backyard Bar & BBQ. A casual way to kick off a summer weekend in the mountains, a weekly Family Cookout will be offered Friday evenings from 5-7 p.m., starting Memorial Day Weekend and running throughout the season at The Backyard Bar & BBQ. Featuring traditional barbeque favorites, outdoor lawn games and live entertainment until 8:00 p.m., pricing will be a la carte, with rotating Friday night specials to include suckling pig, smoked leg of lamb and turkey legs. Signature summer barbeque dishes will also be available. Those who prefer to sit back and enjoy an intimate dinner with up to eight guests are invited to reserve The Chef’s Table to experience a culinary journey featuring mountain-inspired California cuisine. Dining guests will enjoy a private table adjacent to the exposition kitchen and personal interaction with the chef de cuisine, who will prepare a tasting menu reflecting the innovative offerings of Manzanita. From $175 per person, price is exclusive of tax and gratuity and a minimum fee applies. The Chef’s Table can be reserved daily beginning at 5:30 p.m., with advance reservations required. Reservations are limited and required for all events, and prices exclude tax and gratuity. To make dinner reservations, or advance reservations for the Chef’s Tasting Counter, Tahoe Long Table Dinner Series, Spirits Dinner Series, Brew Master Dinner Series or The Chef’s Table, please contact the Manzanita reservationist at 530-562-3121. To learn more or confirm hotel reservations, guests are invited to visit www.ritzcarlton.com/laketahoe or call Ritz-Carlton worldwide reservations at 800 241-3333.